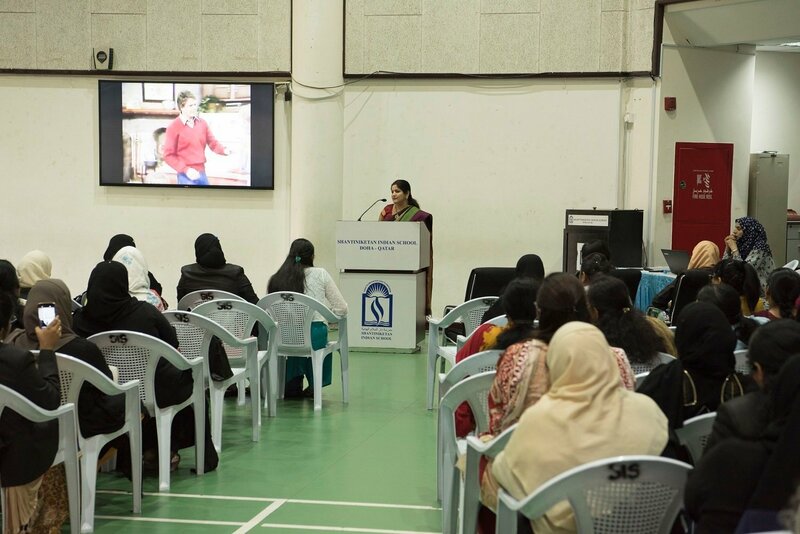 Parents of Shantiniketan Indian School discussed on the topic “Our Children Deserve More” in the Parent Discussion Forum organised recently. 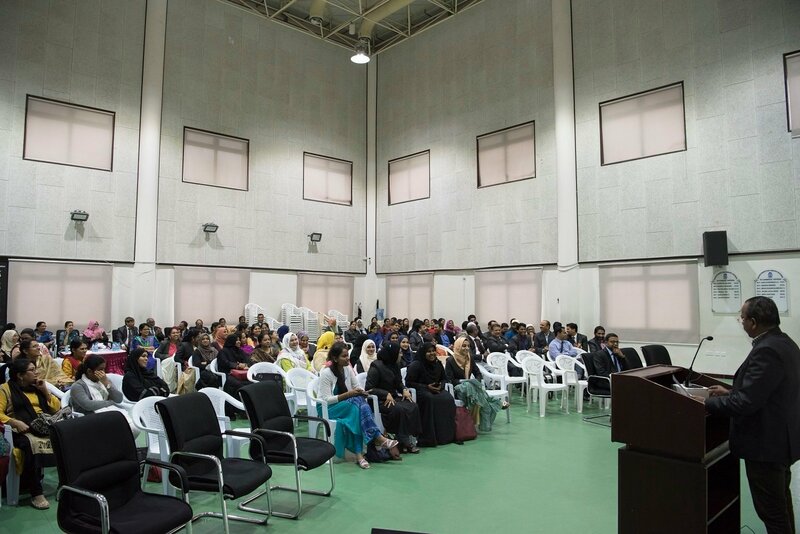 The discussion was moderated by Mr. Adam Abdi. 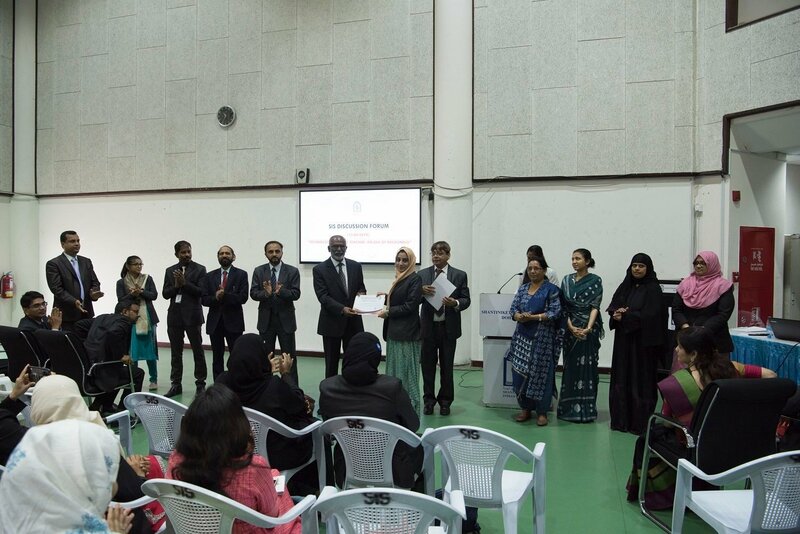 The Panel Members – Mr. Bawadeen Abdul Jaleel, Mrs. Subhadra Rao, Mr. Pradip Sadiye, Mr. Hazim Kamal, Mr. Souhel Imtiaz Khan and Mr. Prabhu, articulated their views and shared their own experiences and examples to establish and explain their views that kept the audience alive and engaged throughout the discussion. 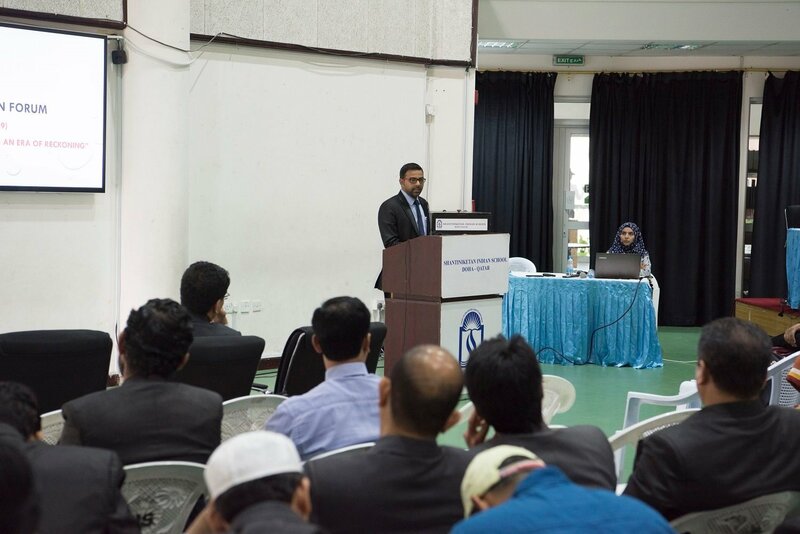 The lively interaction with the audience sparked the discussion that was expertly managed by the moderator. 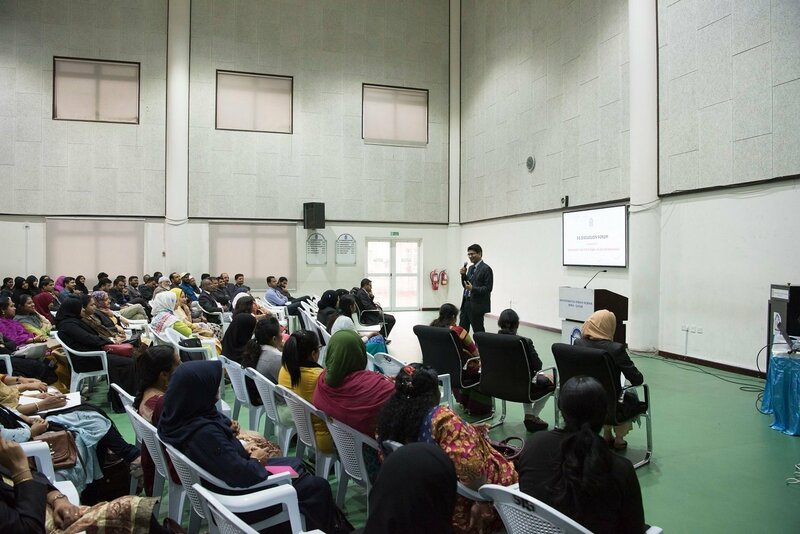 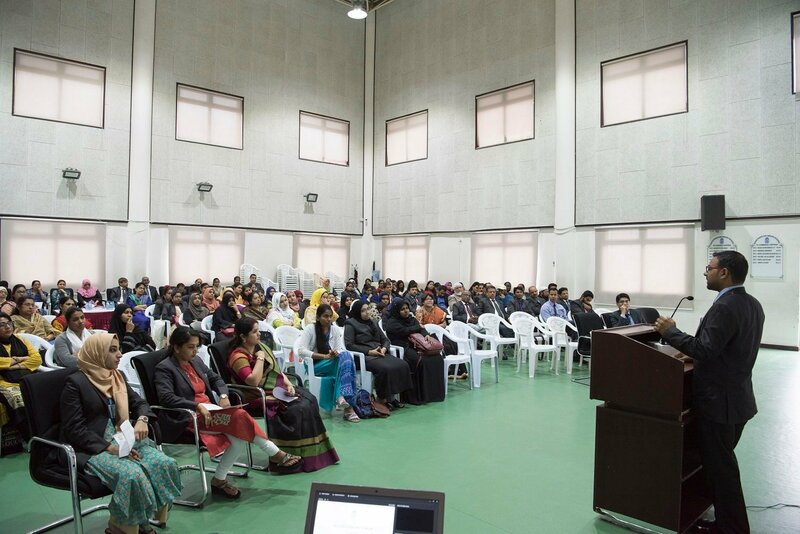 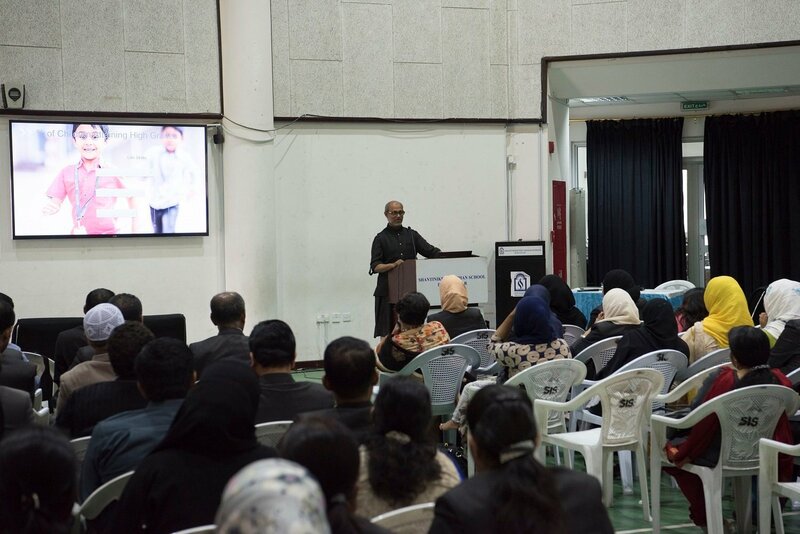 While congratulating the panel members and the Moderator for an enlivening discussion, Principal, Dr. Subhash Nair, also urged the parents to support their children by being positive, developing trust and respecting the integrity of their children. 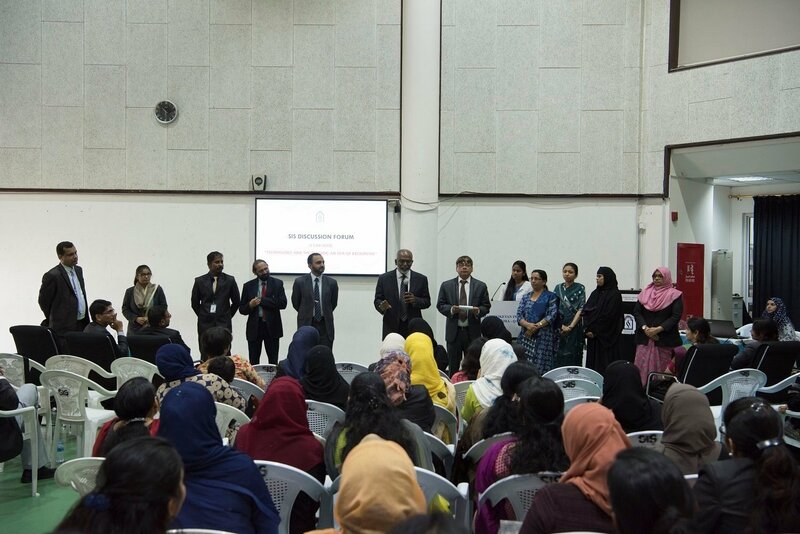 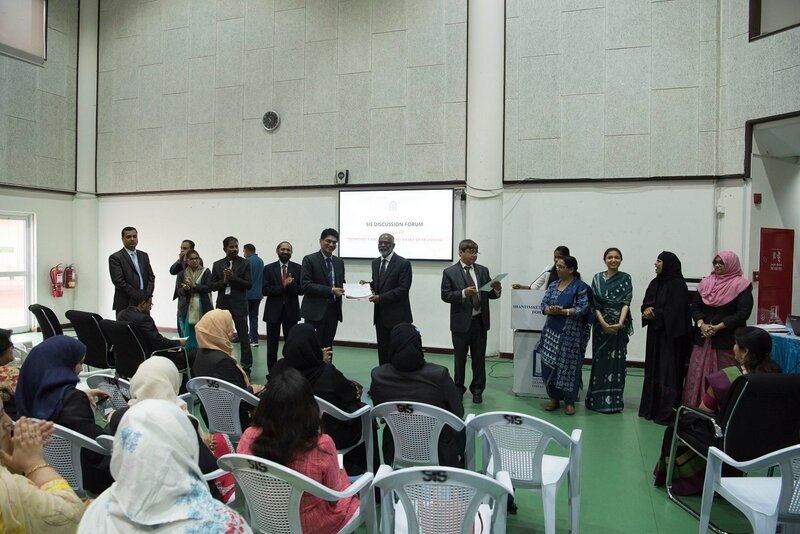 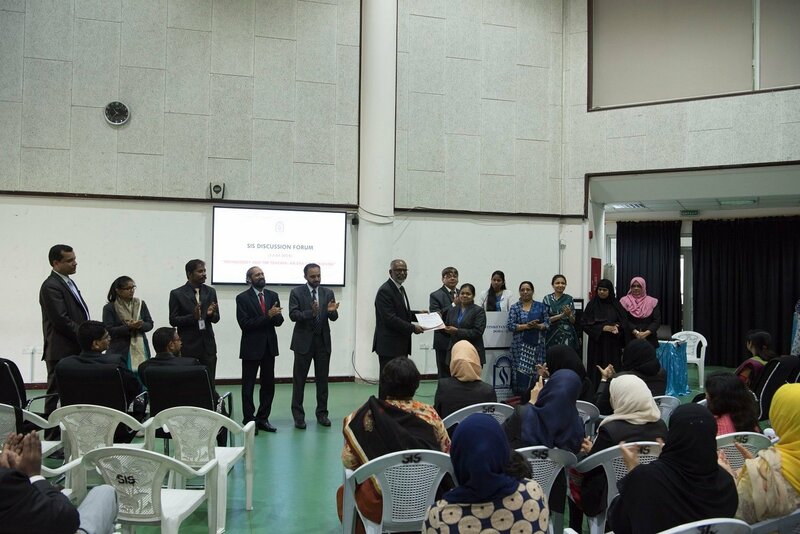 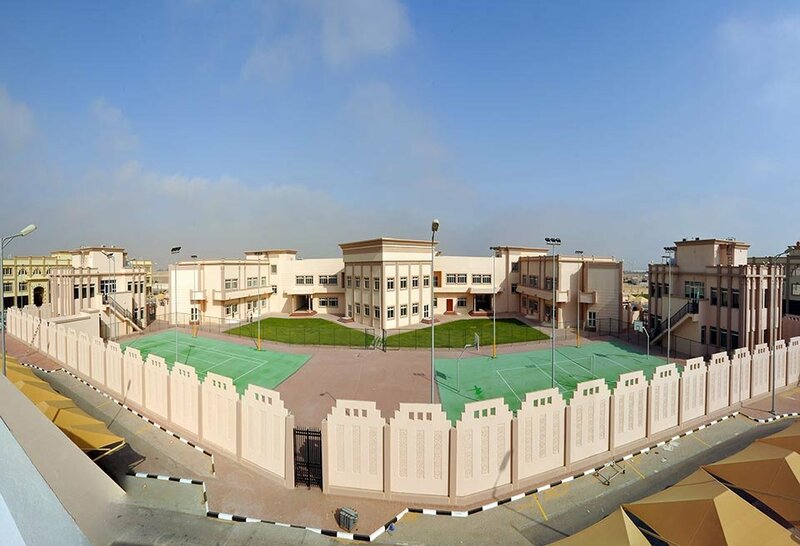 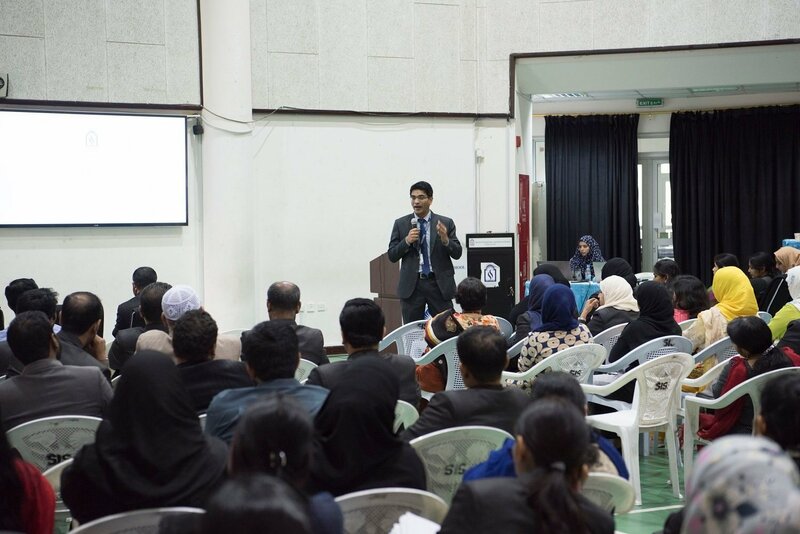 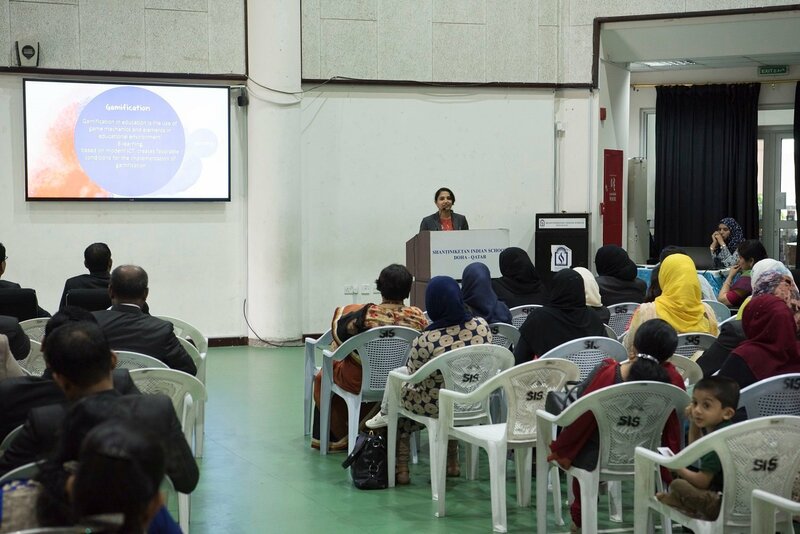 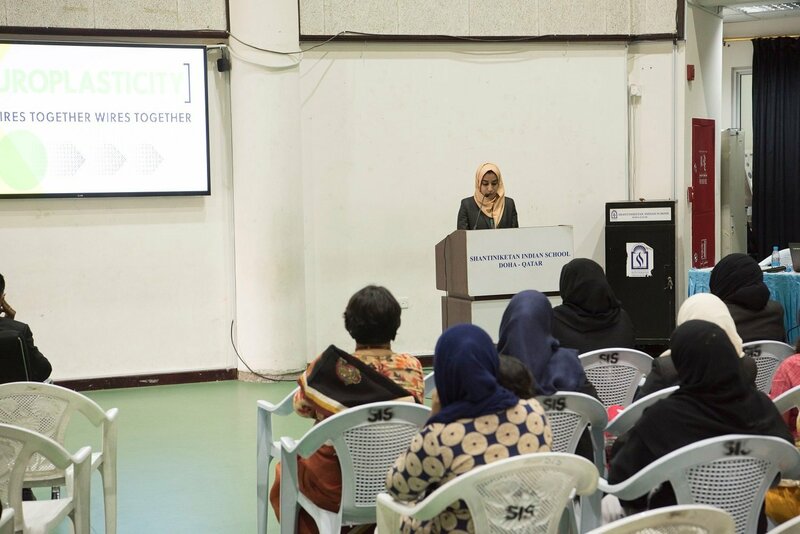 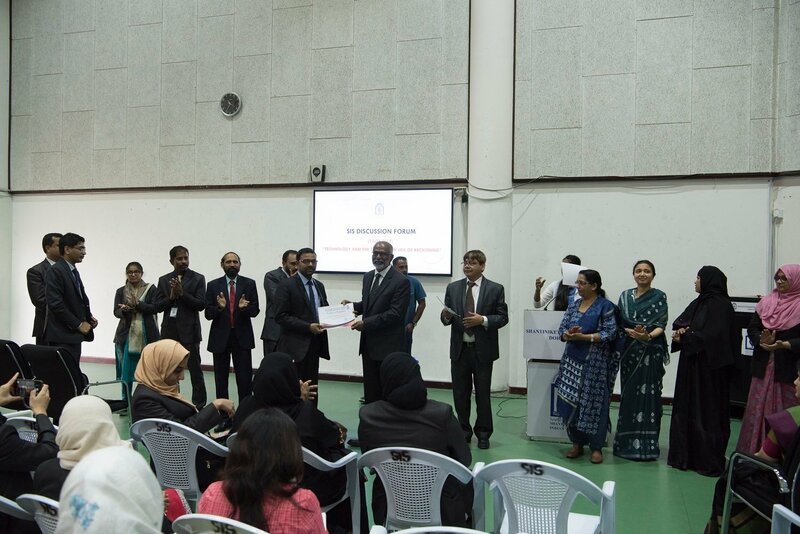 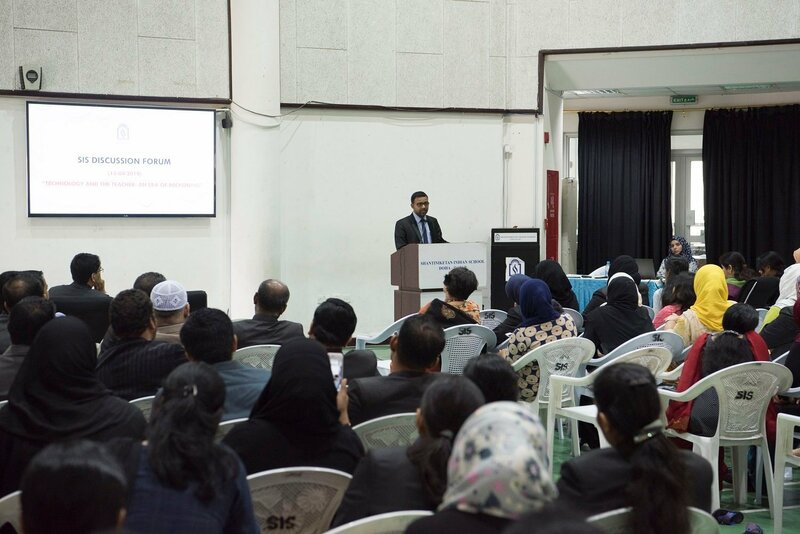 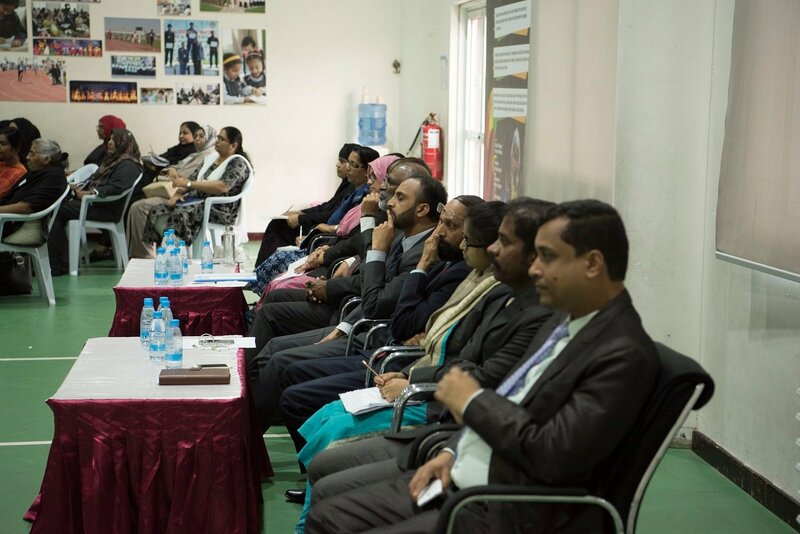 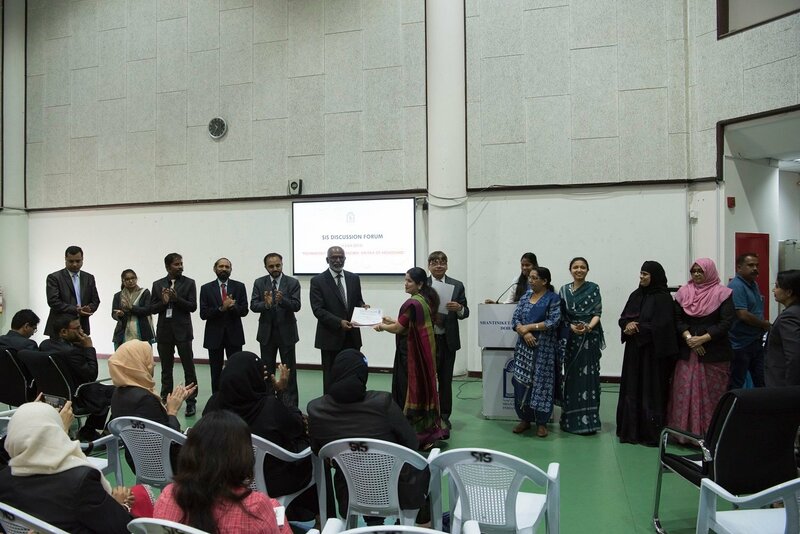 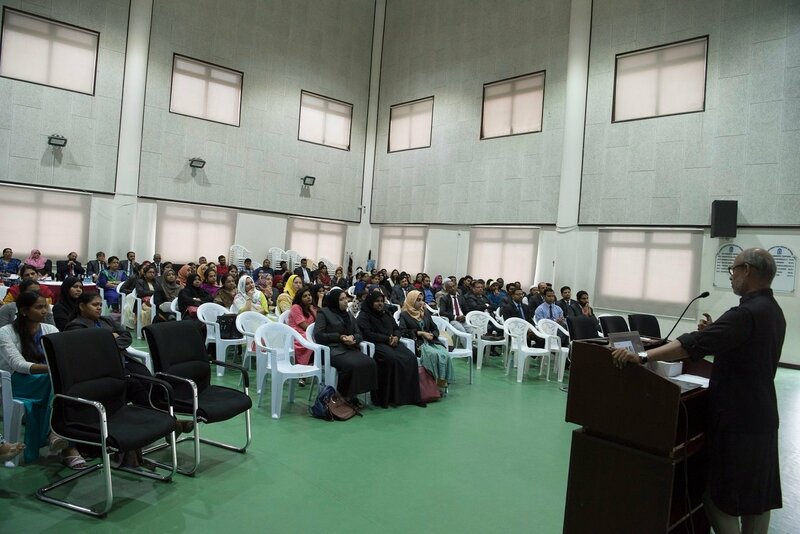 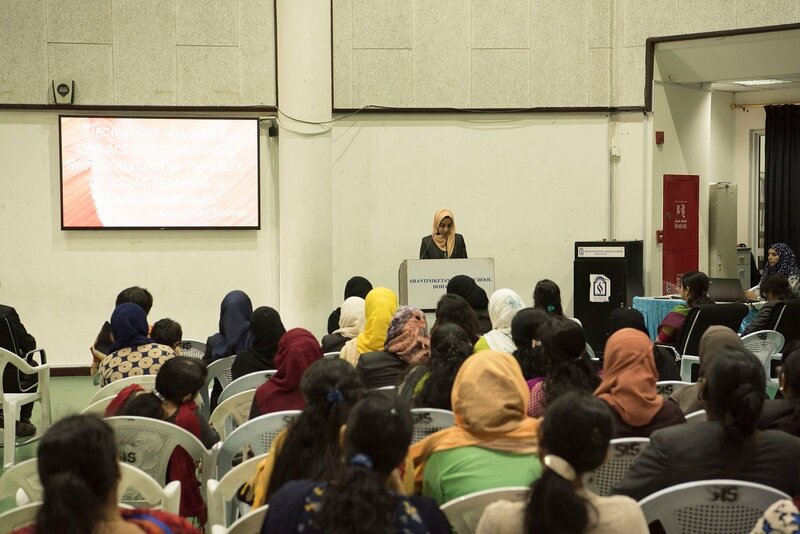 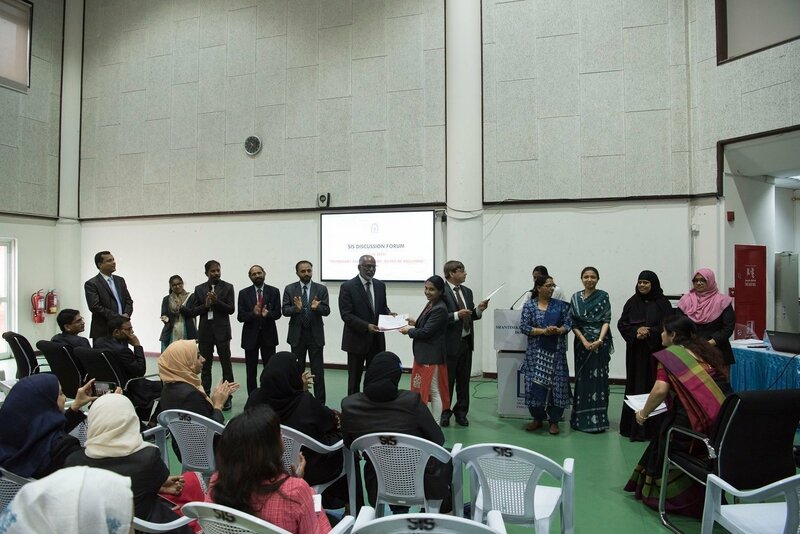 Mr. Shahanaz Noorudheen, Management Committee Member, Senior Vice-Principal, Mr. Shihabudeen Pulath, Vice Principal, Mr. Dudley O’Connor, Administrator, Mr. Abdul Salam, Head Teachers Mrs. Mehjabeen and Mr. Mathew felicitated the Panel Members and the Moderator.